Serve this sweet treat country-kitchen style in ramekins, or dress it up in sparkling glass dessert cups and garnish with chocolate shavings. 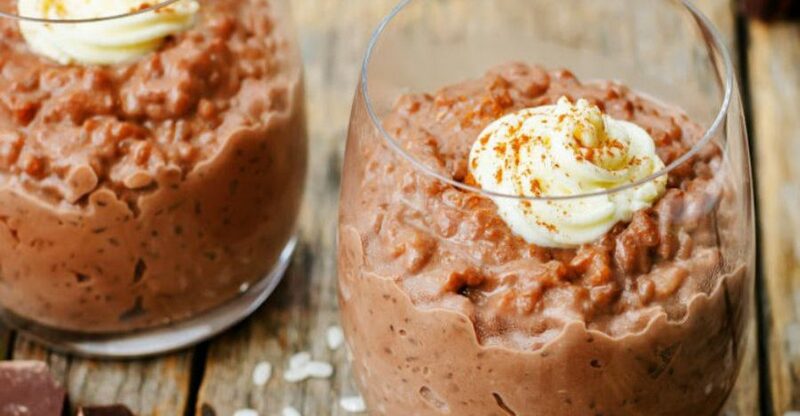 I love rice pudding, and chocolate rice pudding would be even better. I just might have to try this. Made this today it’s a keeper!! Place all the ingredients in crock pot and stir to combine. Cover and cook at low for 2 1/2-3 hours, or until the liquid is absorbed. Quick Tip: Serve with whipped cream and slivered almonds. Thanks to 12 Tomatoes for this oh-so-delicious dessert idea!